HomeFreedom of ExpressionWhat are the constitutional issues facing the regulation of media ownership in Ireland? 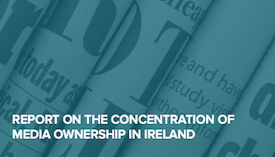 A just-published Report on the Concentration of Media Ownership in Ireland (download pdfs here and here) directly addresses the question in the title to this post: what are the constitutional issues facing the regulation of media ownership in Ireland. The Report concludes that such issue do not prevent government action here, and calls on the Irish government to tackle Denis O’Brien’s media control. It seems that some media are ignoring it. That is a pity. It is a very important Report. It was commissioned by Lynn Boylan MEP on behalf of the European United Left/Nordic Green Left (GUE/NGL) group of the European Parliament, and was prepared by Caoilfhionn Gallagher and Jonathan Price, barristers in Doughty Street Chambers, London, and Gavin Booth and Darragh Mackin, of the Belfast solicitors’ firm KRW Law. It was launched in Leipzig (panel | photo) on 6 October last, and in Dublin last night (press notice | photos). 1.8 In our view, taken together, the combination of the highly concentrated Irish media market, Mr. O’Brien’s threats and initiation of a large number of legal proceedings against media and other critics, and serious shortcomings in the defamation framework create a perfect storm which threatens news plurality and undermines the media’s ability to perform its watchdog function. … We strongly recommend that these concerns be addressed as a matter of urgency, and be seen to be addressed. This is an important call, which I hope the government will heed, but I won’t hold my breath. As to the detail of the legal analysis in the Report, chapter 2 discusses relevant international legal standards concerning media plurality and ownership concentration; chapter 3 assess the landscape of media ownership in Ireland; chapter 4 discusses the Competition and Consumer Protection Act 2014 (also here); and chapter 5 discusses legal barriers to addressing current media concentration. As to the 2014 Act, it established the Competition and Consumer Protection Commission (CCPC) and introduced a new media mergers system, which the Report addresses. All such mergers must be notified to the Minister for Communications, Climate Act and the Environment, the CCPC, and the EU Commission, and are subject not only to a competition law review by the CCPC but also to a media plurality review by the Minister. The Report observes that the powers of the Minister are “permissive”([4.4]), the Minister may prohibit a media merger on plurality grounds, but it is not mandatory in any circumstances. 5.4 There is nothing in either Article 40.3.2 or Article 43 [of the Constitution] which prevents action being taken in relation to the concentration of media ownership. This is a jurisprudential red herring. The Report likewise concludes that there is nothing in theprotection of property rights in Article 1 of Protocol 1 to the European Convention on Human Rights to prevent such action. I agree, but I think there is more to be said about the issue than is said in the Report. The constitutional protection of property is indeed a “qualified right” ([5.4]) which may be regulated by the principles of social justice (Art 43.2.1) and reconciled with the exigencies of the common good (Art 43.2.1), but the key point is that expropriation of property on such a basis is usually justifiable provided that appropriate compensation is paid. The Report mentions this ([5.5]; referring to Fisher v Irish Land Commission  IR 3]), but does not explore its ramifications for actions to alter current media ownership concentration in Ireland. In In re Article 26 and the Planning and Development Bill, 1999  2 IR 321,  1 ILRM 81,  IESC 20 (28 August 2000) the Supreme Court held that the use of planning legislation to provide social and affordable housing was within the competence of the Oireachtas to attain, and that the provisions in question impaired property rights as little as possible and was proportionate to the legitimate objectives. This would plainly mean that restrictions on media ownership, such as those in the 2014 Act mentioned above, could be constitutionally defended. There can be no doubt that a person who is compulsorily deprived of his or her property in the interests of the common good should normally be fully compensated at a level equivalent to at least the market value of the acquired property. 118 … where an Act of the Oireachtas interferes with a property right, the presence or absence of compensation is generally a material consideration when deciding whether that interference is justified pursuant to Article 43 or whether it constitutes an “unjust attack” on those rights. In practice, substantial encroachment on rights, without compensation, will rarely be justified. Hence, for it to be constitutionally permissible for ownership of a media company to be compulsorily divested or expropriated, the affected owner would have be compensated. It is vanishingly rare that the principles of social justice and the exigencies of the common good can justify an expropriation without compensation (on which, contrast O’Callaghan v Commissioners of Public Works  ILRM 364 with In re Article 26 and the Employment Equality Bill, 1996  2 IR 321,  IESC 6 (15 May 1997)). In reality, any attempt to divest or expropriate some of Denis O’Brien’s media holdings would likely trigger a compensation bill that could run into hundreds of millions of euro. It may be that when politicians say there are constitutional problems with such a divestiture or expropriation, they don’t mean that the constitution prevents it so much as that the constitution means that it would be unaffordable. 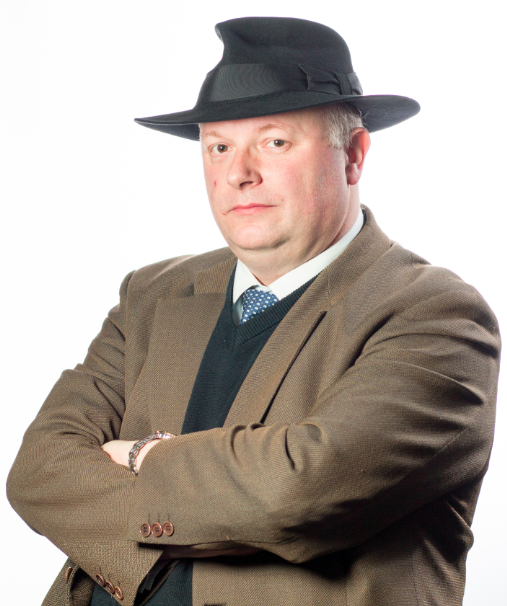 Nor would Denis O’Brien, or any other affected media owner, give in without a fight; there would be a pitched legal battle, all the way to the Supreme Court, to settle the legal questions about the competence of the Oireachtas to legislate and the legitimacy of its objectives, whether the legislative provisions in question impaired property rights as little as possible and were proportionate to the legitimate objectives, and how much the compensation ought to be. References to constitutional problems may therefore also be a useful excuse for politicians unwilling to pick such a fight. In the long run, it is one worth picking, but it may very well be the long run before it is picked. Is Dublin becoming the defamation capital of the world, the libel-tourism destination of choice?